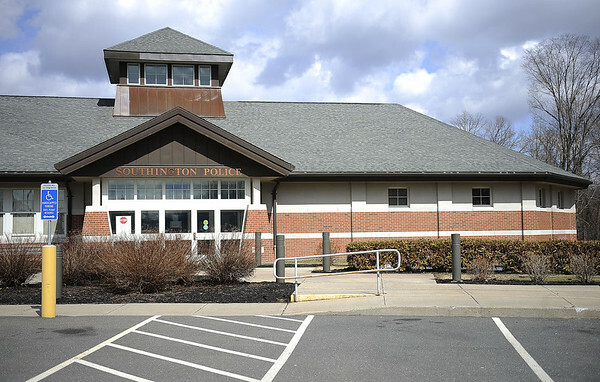 SOUTHINGTON - A local man was arrested this week and accused of drunkenly crashing into a fire hydrant in front of his neighbor's house and going home without calling police. Rodd Florian, 49, of 514 Main St., faces charges of driving under the influence, evading responsibility, interfering with police and failure to drive in the proper lane. According to the police report, officers were called to the area of 524 Main St. at about 9:27 p.m. Monday on the report of a fire hydrant that had been struck by a vehicle. A witness said she saw a Jeep crash into the hydrant, drive to a nearby gas station and return to Florian's driveway. The witness said she recognized the driver as Florian when he got out of his green Jeep Cherokee and stumbled into his home, according to the report. Police responded and saw that the fire hydrant had been twisted about 90 degrees, causing the valve to face the opposite direction of the road. Officers went to Florian's home and saw him sleeping on the couch. They knocked on the door and confronted him, asking him how his Jeep was damaged and why there was green paint on the yellow fire hydrant and yellow paint on his green Jeep, according to the report. Police noted in the report that Florian smelled like alcohol. Officers said he refused to take a field sobriety test and began walking away from them and back into his home. Police grabbed Florian, and he pulled away. He was brought to the ground before being arrested. Florian is being held on $1,000 bond and is scheduled to appear in Bristol Superior Court next Friday. Posted in New Britain Herald, Southington Herald on Wednesday, 17 October 2018 16:48. Updated: Wednesday, 17 October 2018 16:51.